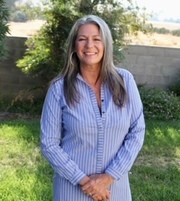 Hello my name is Amy Howard, I have a wonderful support group at Melson Realty and they genuinely help me to serve you better.I love all things pertaining to homes each one has something about it that makes it special. I will give you my full attention to help navigate the home buying and selling process to keep things on track. I truly value personal connections with people. Living in the Springville/Porterville area is an advantage for me and is such a beautiful place to raise a family or retire in. There are lots of attractions to see such as our Big Redwoods and stocked ponds to fish in. Lake Success is also fun to camp, fish or boat in. Bring your toys and start living the dream or just stay home in your very own paradise. I really feel blessed to live here. My family and I enjoy camping, motorcycles and cooking as well as hanging out by the camp fire with friends.The best part is...it’s all just minutes from our door. So what are you waiting for! I look forward to helping you find your happy place.